Summer Musical Camp – "Hey, Joshua!" All Salem kids and their friends going into 1st – 6th grade are invited to participate in the musical "Hey, Joshua". 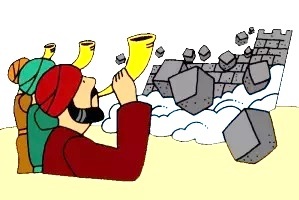 Join us as Joshua leads the Israelites into the promised land this summer in a fun musical camp: Monday through Friday, 9:00-10:30 a.m., June 17-21. We will perform this awesome musical during church on Sunday, June 23. Please contact music director Heather Lewis with any questions at [email protected] or (913) 485-2739. Each child will be given a practice CD in advance, and a list of parts/solos to choose from. Please learn speaking parts and music before camp starts, and we will have fun learning the moves to the songs and making the story come alive together! Click here for a PDF of the list of characters. A $15 fee will provide each performer with a T-shirt and other props and costumes. Click here to pay online or drop in offering plate. RSVP by May 5 so we can order T-shirts.